I wanted to protect (and make it more slick) the bottom of my Alaskan. As it has a ribbed bottom, adding UMHW would be really tough, plus add a ton of weight. After doing a lot of research, with a couple guys from work (Wooldridge owners as well), we discovered K5 polyurea. If you havenÂ’t seen it or heard of it, do a google search and check out the videos that pop up. ItÂ’s an amazing product, having being used by the military for years as a blast mitigation coating. Anyway, we ended up finding out that Universal Welding in North Pole is a Vendor/applicator for the product. A couple of us guys decided to give it a shot. IÂ’m pretty happy how it turned out, and I hope it works well. Universal guarantees the K5 spray. We also added a top coat product called Wetlander (super slick silicone based coating they use on airboats). Universal agreed to apply that product on the K5 for us. The total weight added to my boat was around 50lbs, much lighter than UMHW. Also it required no holes or glue etc. I believe Phantom boats have mostly gone away from UMHW, and are spraying their boats with k5. I also talked with Wooldridge, and they said this would not void my hull warranty. Anyway here are a couple pictures of how it turned out. I cannot wait to get it on the rivers this year! That looks good, I have wanted to do the UHMW, except for all the holes, and the weight... Keep us posted, wont be too much longer. Here in Juneau, I know a guy who put Wetlander on his sport jet powered home built 22'. It is slick stuff. So it works as advertised. What you don't get compared to UHMW is the impact resistance. 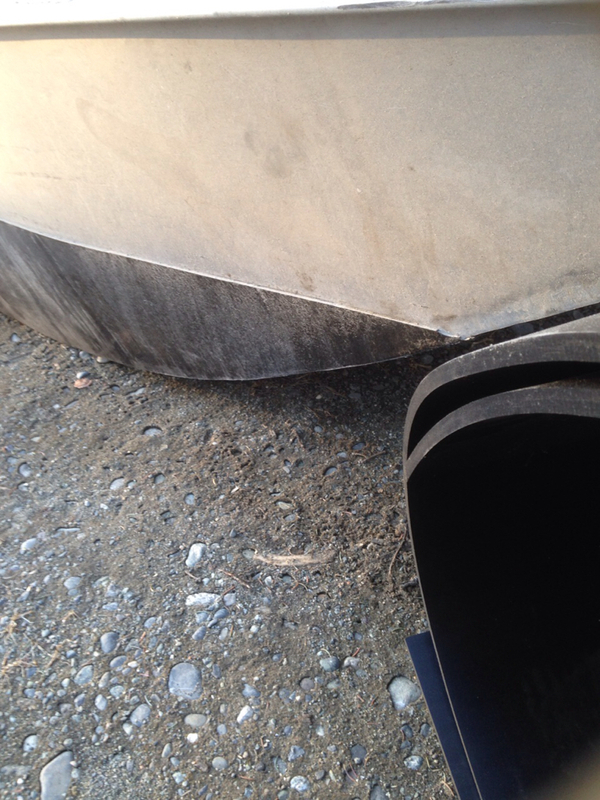 So you will still dent your hull, but it will also slide around gravel and logs. Definitely a cost effective alternative. Good stuff. Looks pretty good. I would like some before and after pictures of the bottom after gravel bar sliding. I have researched the K5 and it seems to be bullet proof. What did they charge you? This stuff looks pretty thick. I would think it should take a little abuse. I don't have any experience with this or UHMW though. What kind of impact can UHMW take without denting the hull? The spray on polyurea is much thinner than uhmw and does not provide the protection of uhmw, nor is it as slick. 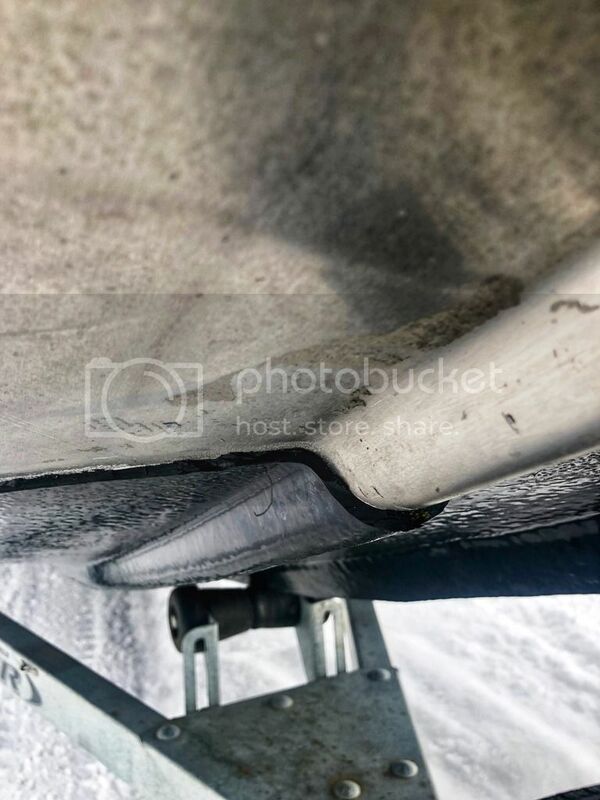 The other is our thru hull bolts that leaves a completely slick bottom, nothing to catch on rocks and stretch the bolts. 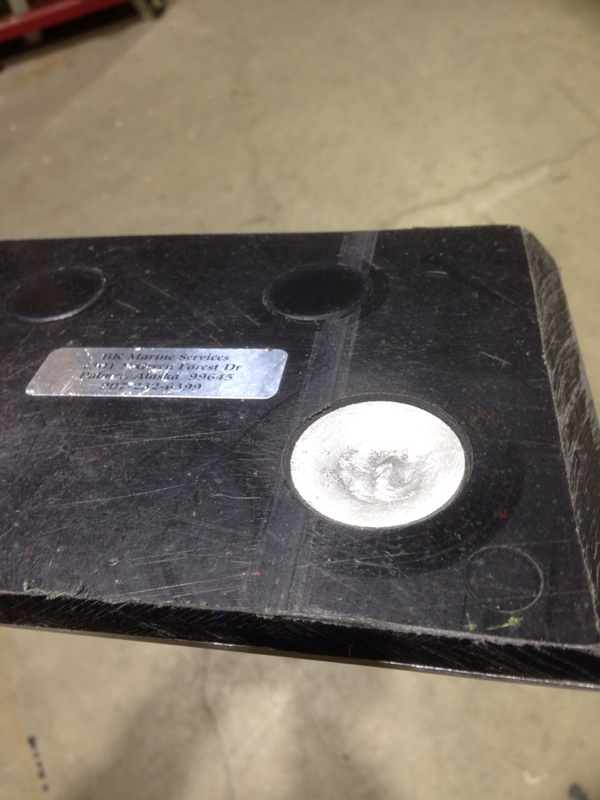 These are not plugs but a completely bonded uhmw applied around a carriage bolt. In short, the spray on works fine but its not a substitute for the uhmw if you have severe duty use. Also, it will be a bear to remove and really puts a kink in any future welding on the applied areas. I think its great for smaller boats, cost savings, etc.... but its not a substitute in my opinion. 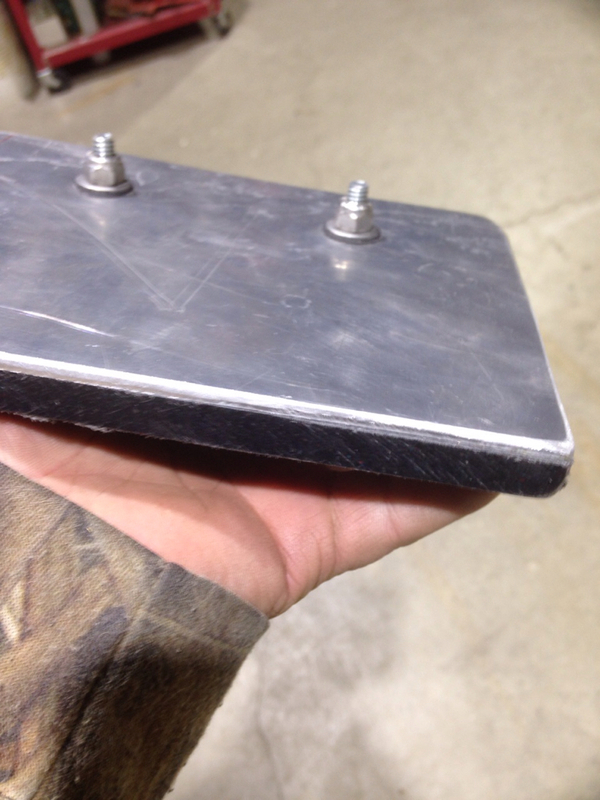 You can take a sledge hammer to a UHMW protected hull and not have any damage. 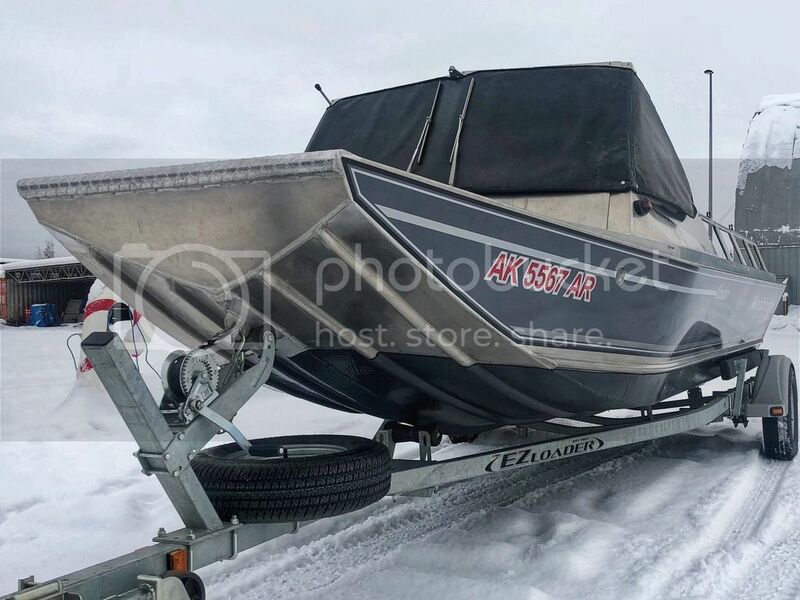 Wetlander will adhere and flex to the hull but your boat will still get dented. great info guys. Might have to think about this for my next boat! 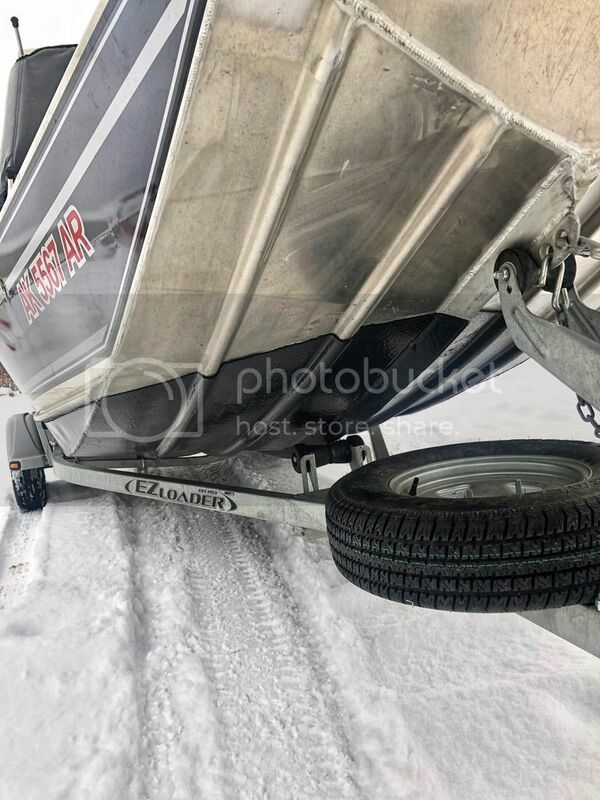 Wetlander is simply to make the bottom slicker to slide over gravel bars or other obstacles, it is not intended for impact protection. The K5 polyurea can be applied in any thickness desired and is what provides the impact protection. If it was applied to an equal thickness as UHMW, it would have equal or better impact resistance. The two products combined make a great alternative to the UHMW. UHMW certainly has it's place, but is not the preferred solution for everyone. Polyurea and other types of spray on bedliner stuff is great short term. It has been used if fish holds of aluminum boats for years. If any corrosion starts under it it spreads like wildfire. It takes way too much work to remove to make repairs. It is more flexible and softer than UHMW and will allow aluminum to dent from impact. The benefit here is that it’s not just Wetlander. The K5 will take care of the impacts. The Wetlander is just an additional topcoat. This is just an alternative or another option. Like anything there will be limitations etc. great for boats like the Wooldridge that has ribs. It’s not for everyone. Just another option. Much lighter than UMHW. I’m also don’t beat the crap out of my boat. For folks that go to the extreme this may not be the best option. I run the Salcha and Chena mostly. Lots of river gravel etc. I think this stuff will hold up great for my use. The K5 is guaranteed and Wooldridge said it would not void my warranty. It will be interesting to see how this turns out. Ill be sure to update. Hoyt, any update on your poly? It seems to be holding up just fine. We've had pretty high water all year in the Fairbanks area, so I haven't beat on it too bad. Coming down from the cabin the other day I wasn't paying attention, and hit a rock bar submerged in a few inches of water. The boat jerked a little bit as we obviously hit a rock bar, but slid right over it no problems. Punched throttle and kept going. Looked under the boat at the landing, and couldn’t see any marks. So far so good. Have you noticed any difference with it and the wetlander for ease of pushing off gravel? Much easier! Pretty happy with the product so far. Between fishing, hunting, and going to the cabin I put about 40 hours on this summer, and things seem to be holding up just fine. Like I said off gravel, boat trailer etc it is much easier. Hey guys, anybody reputable in the valley or anchorage applying this stuff? 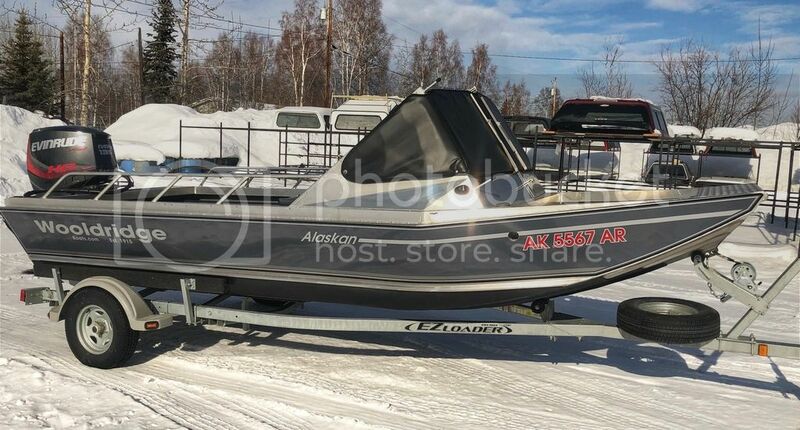 Would love to put on my Alaskan 2. Also, any rough ideas on cost? Thanks.